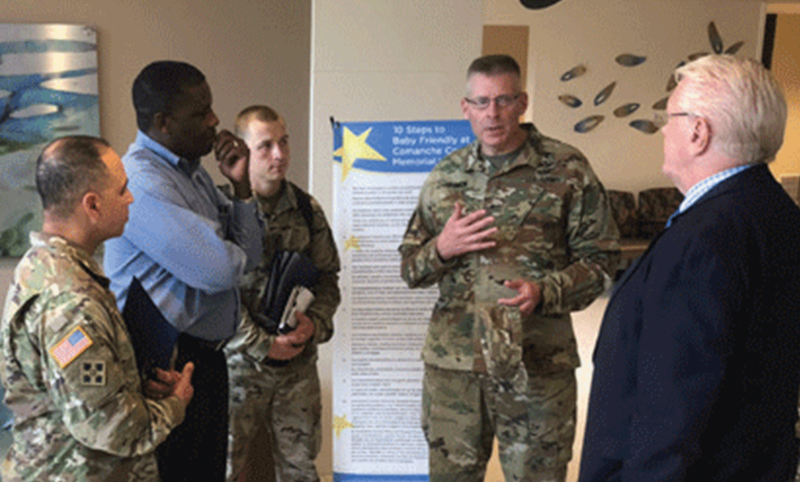 Brigadier General Jeffrey J. Johnson, Commanding General of Regional Health Command-Central, along with other Fort Sill Leadership, recently toured our Drewry Family Emergency Center. 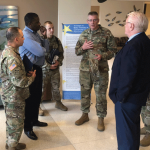 Fort Sill is providing a medic who will work shifts in the CCMH Emergency Center as a navigator to assist soldiers being treated. 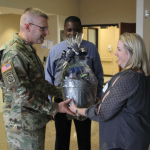 Their role will help increase communication between CCMH and Post regarding treatment and transportation.